Photo challenge: share a photo that includes names. 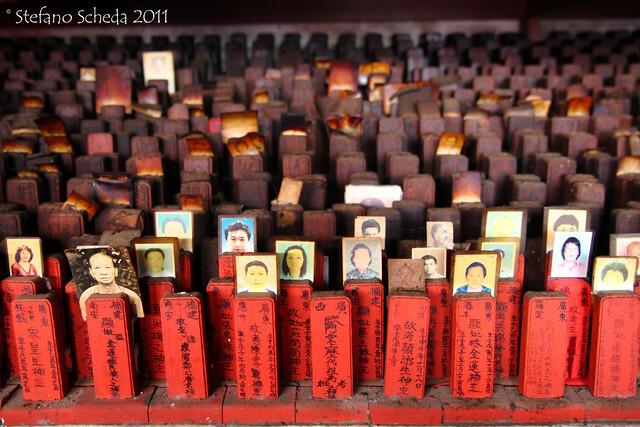 Memorial prayers in Cheng Hoon Teng Temple – Melaka, Malaysia. Right on target as always Stefano – wonderful choice. Good choice: honoring the dead with their name. Thank you, Nila. For stopping by and commenting. Mi piace questa foto tantissimo, Stefano. Piu bella! Superb image, Stefano. Happy New Year!